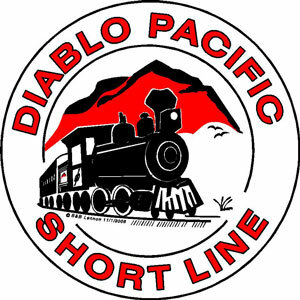 Diablo Pacific Short Line: Having a CELEBRATION? Want some trains at your party? Do you love trains like we do? Would you like to have us come to help you celebrate? For just $350*, we'll come set up a layout and run trains for you and your guests for up to six hours. * In the Bay Area...outlying areas slightly more.